(St. Charles, MO) – It’s every parent’s worst nightmare. Walking in to check on your newborn and finding them not breathing. It happens around 100 times every year in Missouri and no one knows exactly why. SIDS – Sudden Infant Death Syndrome – strikes without warning and without discrimination. 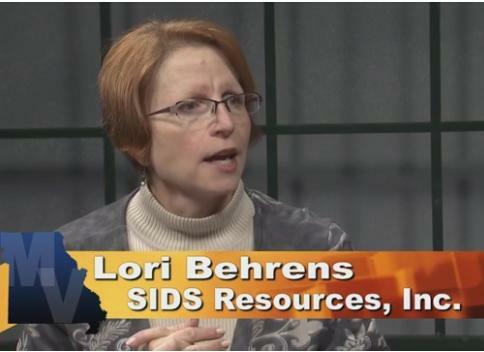 Lori Behrens is with Missouri-based SIDS Resources, Inc. She says there’s no warning and no way to predict it but researchers are learning more about it. “What most doctors believe is that it’s, if you will, the perfect storm. It’s the combination of a critical development period – that first six months of life when the baby is growing and maturing very rapidly. A lot of changes are going on in the baby’s body physically and neurologically. The advancements in the study of SIDS that have been made indicate that there are some risk factors that can be controlled. While they don’t guarantee safety from SIDS, they could reduce the chance of it happening. The main risk factor is how and where the child sleeps. Behrens calls the recommendations the “ABC’s” of sleeping for an infant. A: Alone. While many new parents want to hold their child at night or hope for a closer bond by sharing a bed, infants should sleep by themselves. B: Back. Infants should sleep on their backs. C: Crib. Infants should sleep in something made specifically for them, like a crib. In addition to reducing the risk of SIDS, this also reduced the risk of accidental suffocation from pillows, getting wrapped in an adult blanket or even from a parent’s hand, arm or entire body. Since the medical field began recommending this approach, Behrens says the numbers are improving when it comes to SIDS. Those rates have generally held steady since then. The window if danger of SIDS is relatively short, so vigilance from parents, babysitters, nannies and nursery workers is crucial. Missouri is finally getting a break from winter and with the warmer weather comes outdoor fun, spring cleaning and additional dangers for children. Of course, not all dangers can be eliminated because kids will be kids. 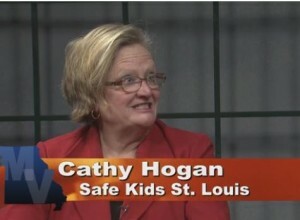 Cathy Hogan works with Cardinal Glennon Hospital in St. Louis and also with Safe Kids Worldwide. She has a few reminders for parents to reduce some injury risks. While falls are one of the most common reasons for injuries to children, she says accidental poisonings happen more than you may realize and the dangers are often from unexpected things. “One of the most dangerous things we can have in the house is a purse because we come in the house, we set the purse down and we throw our keys in it and we throw our cell phone in it and we leave it open. Other safety precautions that adults often overlook include locking up cleaning supplies, especially if they are stored under sinks or on the floor in closets where children can reach them. Hogan also suggests having a medical or law enforcement professional check your car seats. She estimates that 95% of the car seats checked by Cardinal Glennon staff are installed improperly. Car seats should be used until children are at least eight years old and/or 4’9″ tall, according to current recommendations. Most hospitals around the state have child safety resources available at no cost.